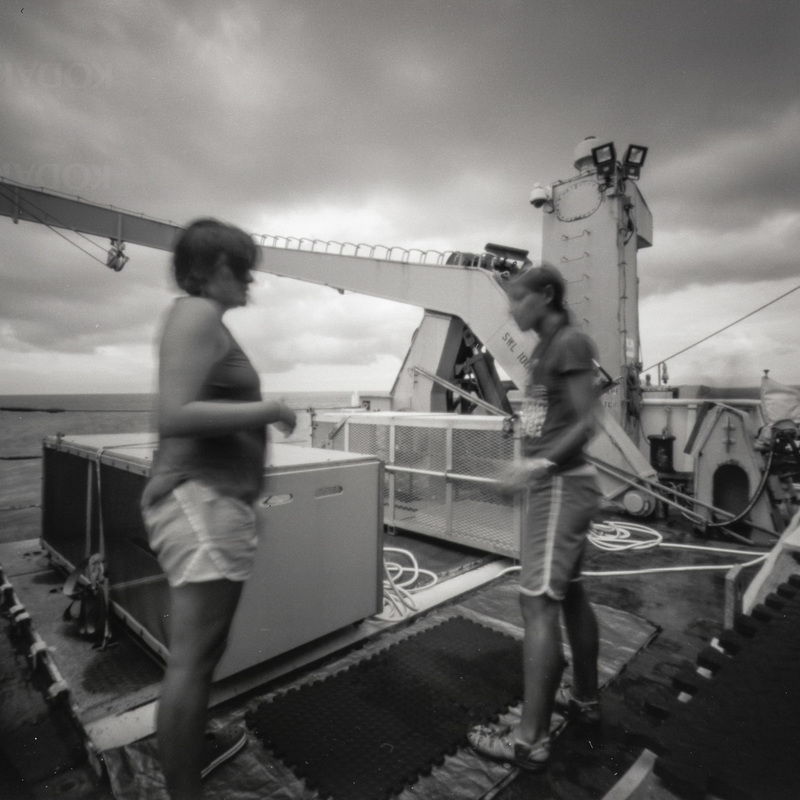 ​For six months during the spring and summer of 2016, I teamed up with NOAA’s Hawaiian Monk Seal Research Program [HMSRP] as artist in resident. After a month of training in Honolulu, I worked as an embedded member of a three-person field camp at Pearl & Hermes atoll in the Northwestern Hawaiian Islands [NWHIs], some 1200 miles from Honolulu. 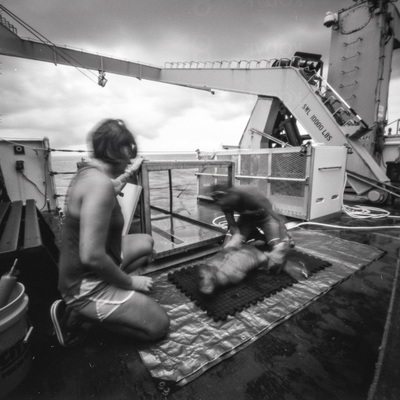 During the residency, I worked as a field biologist collecting important population assessment data on the Hawaiian monk seal. 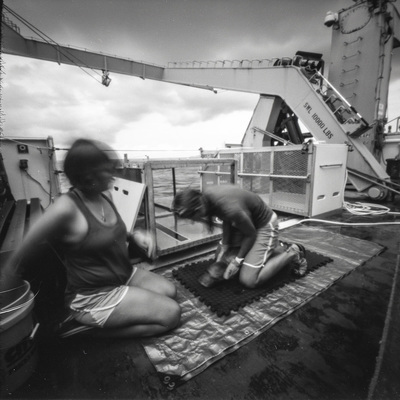 I will use the experience of working as a field biologist to inform a new body of work focused on wildlife conservation and environmental stewardship. 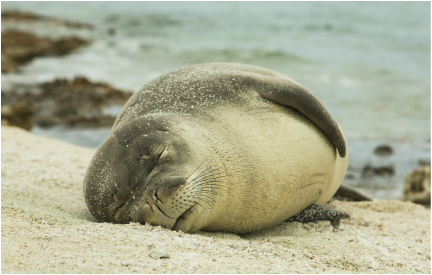 ​The Hawaiian monk seal is endemic to Hawaii and with roughly 1,300 individuals remaining, one of the most endangered marine mammals in the world. 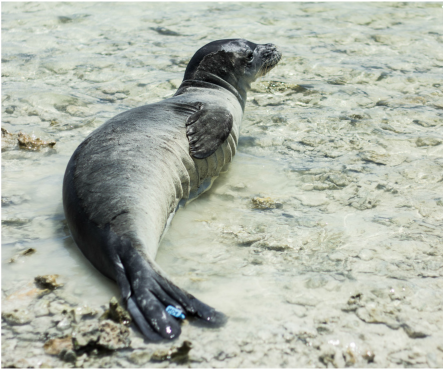 The HMSRP has been working to help recover the Hawaiian monk seal for three decades and it is estimated that about 30% of the population is alive today due to their efforts. 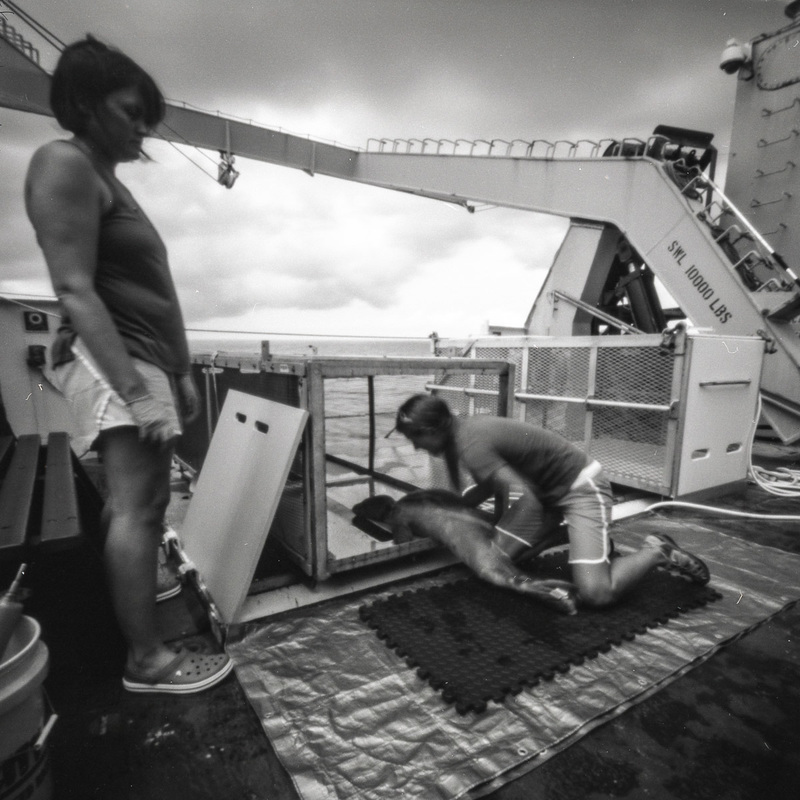 With a number of one-of-a-kind recovery activities including translocations and vaccinations, the HMSRP is the most proactive marine mammal recovery program on the planet. Freshly molted juvenile Hawaiian monk seal. Hawaiian monk seals experience a catastrophic molt where they lose their fur and top layer of skin about once a year. Their new coat is shiny & silvery. My interest in this research lies in the ideology that knowledge is the key to transformation and that the dialogue between art and science is imperative for a most informed and diversified understanding of life on earth. With science far too often inaccessible and unattainable, the goal of this collaboration is to bring awareness to the plight of the Hawaiian monk seal and the effects of anthropogenic climate change on the vulnerable ecosystems of the NWHIs and beyond; to learn how to take proactive action for the health and betterment of our planet. An exhibition of work based on this research will debut in early fall, 2017. In the meantime, my site will be updated with pictures and notes about my collaboration with the Hawaiian Monk Seal Research Program and my time in the field. 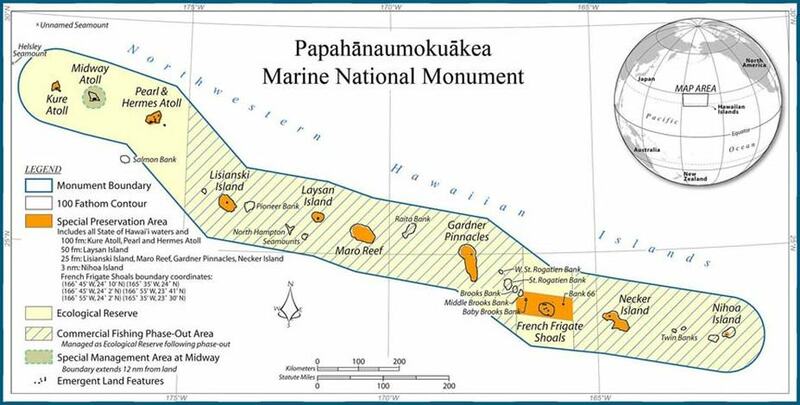 This project is approved under the Papahānaumokuākea Marine National Monument permit No. PMNM-2016-011 and National Marine Fisheries Service permit No. 16332-01. COPYRIGHT © 2017 APRIL SURGENT. ALL RIGHTS RESERVED.